Back in April two of our young people decided to take on a huge task. They hoped to participate in a missions team effort of area churches to go back to the children's work in Mozambique where William went back in 2013. Here on this blog I presented the testimonies of this two -Werica and Anderson. Both are faithful members of our congregation with strong testimonies. Recently both have decided to change their original plans to go to Mozambique later this year. The costs of the trip are very high - about US$2000. Both wondered about how to make it happen when another opportunity arose that is much more viable and applicable to the learning experience both wish to gain on a missions trip. Anderson (see original post for his testimony - Anderson) and Werica have been presented with the chance to accompany Wordless Ministries on a missions trip to the Amazon region of Brazil. This trip will be July 1 - 11 of this year. Each participant needs about US$500 to go on the trip. from our church group will be able to take part in this event. 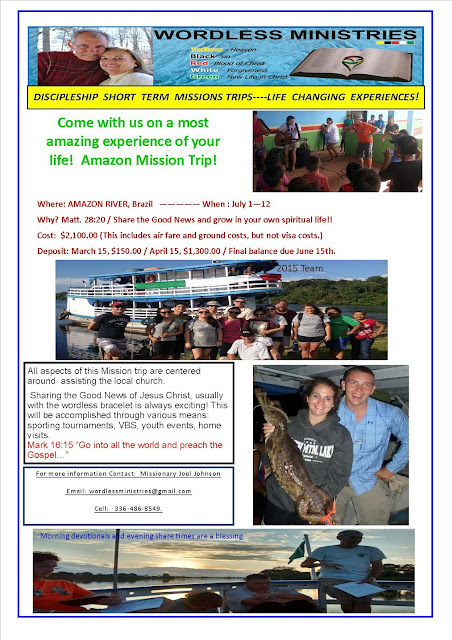 For the cost of one to go to Mozambique - FOUR will be able to take part in this trip with Missionary Joel Johnson. We are very proud of all of our young people and are encouraged in their interest in world missions and hope that this decision, not made lightly, will reap great benefits for each one and for those with whom they minister. This young lady is a hard working girl who after she was saved at the age of ten. Over the years she brought her whole family to church little by little as well as many friends and neighbors. 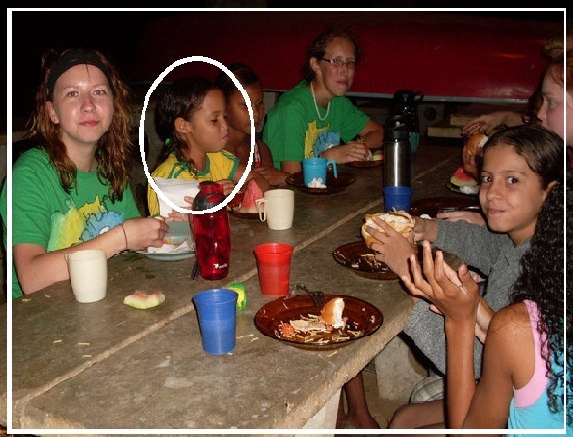 I first met this girl when Byron and I visited her school in 2010 looking for boys and girls to participate in the second free kids camp held out on the island. I visited each child in their home to explain the camp and to get direct permission from parents. Werica lived on a farm on the way to the lake. Her mother gave permission for her and her brother, Felipe, to go and many of her family went up to the boat to see us off on The Noah II. Her single mother had 4 other younger children at home. During the retreat, Werica hung close to her American counselor - Lauren. She participated well in all the activities and listened well during all the Bible stories. Before the three days were over, Werica and her brother had both made personal decisions to accept Jesus as Savior. After the retreat, Byron and I began visiting all the boys and girls who had attended. Byron offered to start Bible lessons with each one in their home. Werica started the Source of Light Bible lessons and she started coming to Sunday school. And once she started, she never stopped! Because of her witness and insistence her mother and two of her now five sisters have come to the Lord. 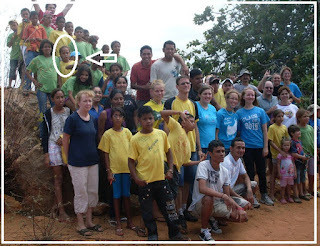 Anderson from last week's post is a direct result of Werica's example and testimony as he lived near by, and two of his brothers had gone to that same retreat. Today Werica is a baptized member of our congregation. She has already gone on one missions trip with the youth of our church this past year. 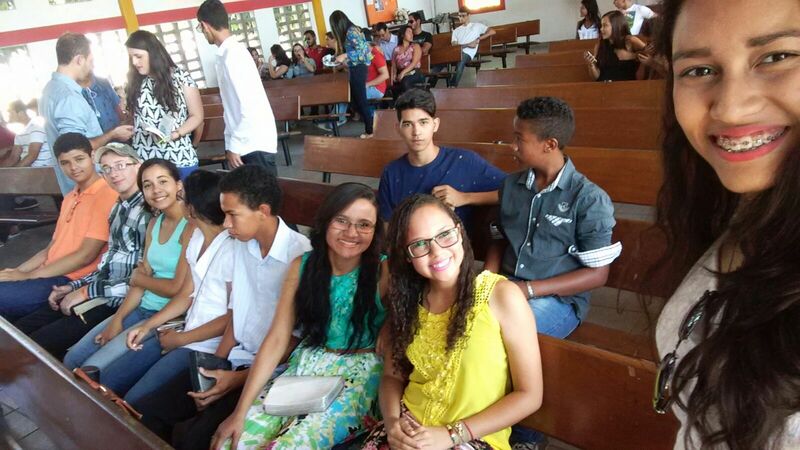 She is only sixteen but she is already a Sunday school teacher working with some of our Bible club boys and girls. She also works with another young lady in the maintenance of our buildings and in the area of decoration for services and special events. Werica feels called to full-time missionary service. This trip would be a good opportunity to confirm that call in her life. Would you PRAY for Werica? She is already looking for ways to gather the funds needed for her trip - yard sales, tutoring, cleaning. Pray that she might be able to go in August. Werica in yellow and with a big smile with our youth at a rally.